Sprintsters (and potential Sprintsters of the future), listen up: Motorola's new flagship is hitting The Now Network tomorrow. That doesn't give you a whole lot of time to get ready to pick up the new handset, so you better start digging through the couch cushions now. The always-listening, Active Display-packing powerhouse will be available in both woven black and woven white for $199 with a two-year agreement. If you're the customizin' type, however, you'll be waiting a while – Sprint says Moto Maker support won't be support for at least a few months. Boo. On the upside, if you decide to score one of the black or white models that will be available tomorrow, Sprint's guaranteeing that you won't be plucked away from the happy world of unlimited everything (talk, text, and data) "for the life of the line of service." That's awfully sweet of them. 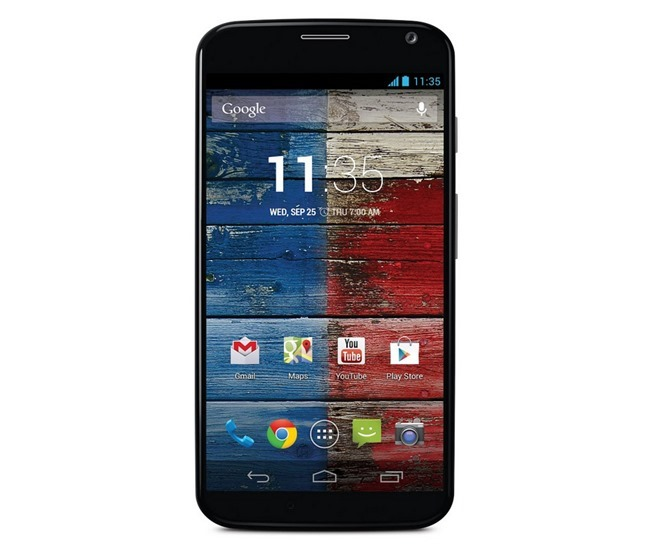 OVERLAND PARK, Kan. (BUSINESS WIRE), September 05, 2013 - Moto X™, the first smartphone designed, engineered and assembled in the United States, will be available from Sprint (NYSE: S) beginning Friday, Sept. 6. 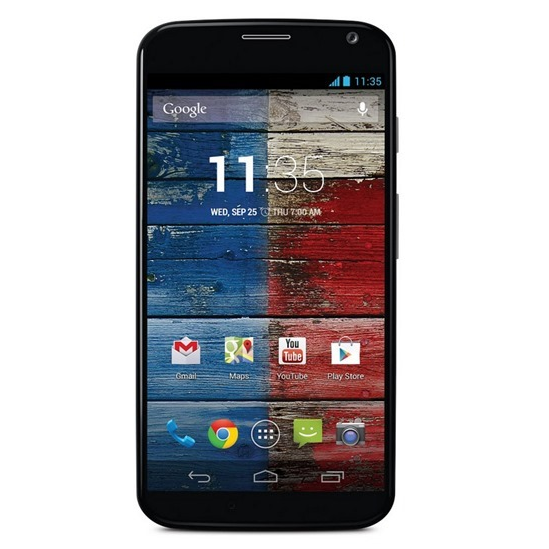 Available in woven black and woven white for $199.99 (excluding taxes) with a new line or eligible upgrade and two-year service agreement, customers can order Moto X (16GB version) at Sprint Stores, Business Sales, Web Sales (www.sprint.com) and Telesales (1-800-SPRINT1). For a limited time only, new customers who switch their phone number to Sprint from another carrier will receive an additional $100 instant credit, reducing the price of Moto X to $99.99 (excluding taxes). Moto X customers will also be eligible for the Sprint Unlimited GuaranteeSM. The Sprint Unlimited Guarantee promises customers unlimited talk (calls to any wireline or mobile phone), text and data while on Sprint’s all-new 3G and 4G LTE network, for the life of the line of service. This guarantee is available to new and existing customers who sign up for Sprint’s new Unlimited, My WaySM or My All-inSM plans, and will apply to customers as long as they remain on the plan, meet the terms and conditions of the plan and pay their bill in full and on time. Simply say, “OK Google Now,” followed by a command, and Moto X will deliver without ever having to touch the device. When searching the Web is this easy, customers will be checking sports scores every few minutes rather than once or twice a game, so they won’t want to worry about data caps. Finding the closest restaurant to meet friends for dinner will be a snap, because they can change restaurants or locations with ease. Simply tell Moto X to find the nearest Thai restaurant and pull up the menu. When the mood changes to Italian ask Moto X to search again. It’s that easy and customers will appreciate the effortless task of planning dinner reservations without having to worry about going over their data limit. It’s never been easier to capture and post the perfect selfie or share life’s important moments with family and friends. With just two twists of the wrist, Moto X is ready to take photos. Capturing and sharing all these pictures could blow through a capped data plan in no time. Sprint continues to bring a better wireless experience to more customers across the country as it builds out its all-new 3G and 4G LTE network, currently in 151 markets. For the most up-to-date details on Sprint 4G LTE, visit www.sprint.com/network. Customers are also encouraged to check www.sprint.com/coverageoften because the maps are updated when coverage is expanded.